Hawaii has the lowest rate of gun deaths in the United States, while the District of Columbia has the highest, according to new research. Over the past decade, deaths from gun-related violence -- including murders, suicides and unintentional shootings -- varied widely across the United States, the study revealed. Hawaii's rate was roughly three per 100,000 citizens. On the opposite end of the spectrum, the District of Columbia had the highest rate of gun deaths, with about 22 per 100,000 citizens. Aside from geography, race/ethnicity also played a role in gun death rates. The national rate of gun deaths was twice as high among black people as it was among whites. The researchers noted, however, that the number of black people killed as a result of gun violence fell in seven states and the District of Columbia. Meanwhile, gun deaths involving white people fell in only four states. Gun deaths among Hispanics also declined in four states, while gun deaths involving non-Hispanics increased in nine states, according to the study published online Sept. 18 in BMJ Open. The research, led by Bindu Kalesan, an assistant professor at Columbia University in New York City, examined all recorded gun deaths in the United States between 2000 and 2010. 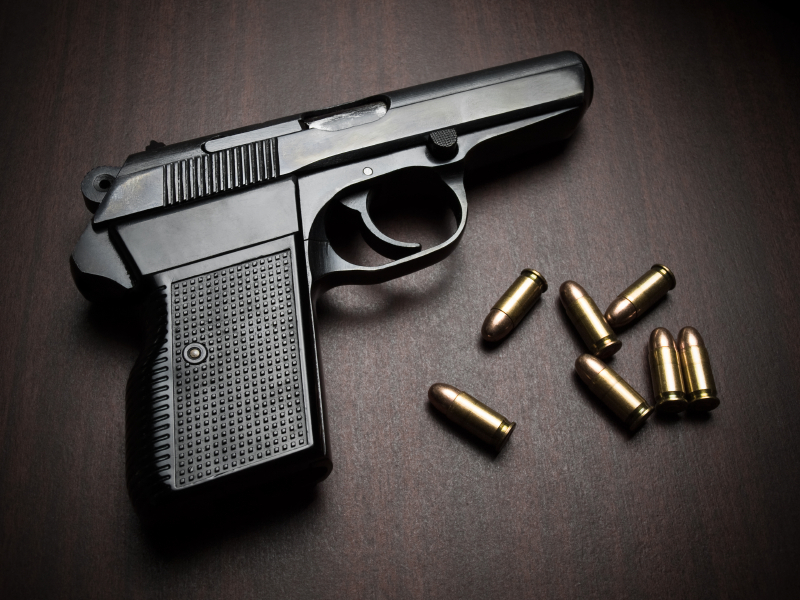 The study also found that gun-related deaths increased in both Florida and Massachusetts. In these states, there were more gun deaths among whites and non-Hispanics. These states also reported an increase in gun-related murder rates. The researchers pointed out these trends do not seem to reflect gun-control efforts and law in individual states. For example, the Brady Center to Prevent Gun Violence ranked Massachusetts the third most restrictive state for firearm legislation in 2011.After Massachusetts passed a tough law restricting gun use in 1998, gun ownership rates dropped sharply, but violent crimes and murders increased. The influx of firearms from nearby states with weaker firearm laws could be to blame, the researchers suggested in a journal news release. Meanwhile, in 2011 the Brady Center to Prevent Gun Violence ranked Florida the 40th most restrictive state for firearm legislation. Although Florida gun deaths increased, the state had an overall drop in violent crime from 2000 to 2010. The study authors concluded that curbing gun violence may require reducing access to firearms and strengthening interstate border controls to prevent the transport of guns. Aside from D.C., states with fewer gun-related deaths over the decade include: Arizona, California, Illinois, Maryland, Nevada, New York and North Carolina. The drop in firearm death rates in California was largely the result of a decline in the number of gun-related suicides. Across the United States, however, the number of gun-related murders and suicides did not change between 2000 and 2010. Nationally, deaths resulting from unintentional shootings dropped significantly, the study found.